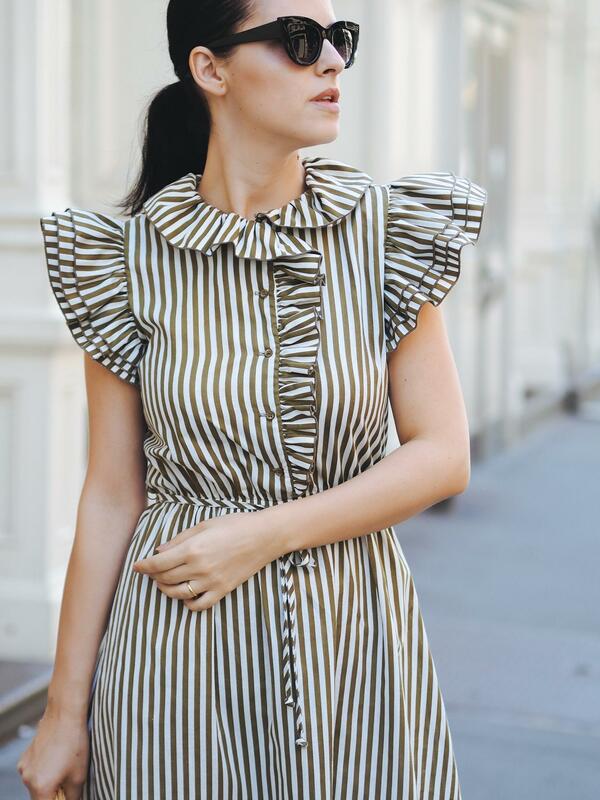 Oh, my pretty striped dress! 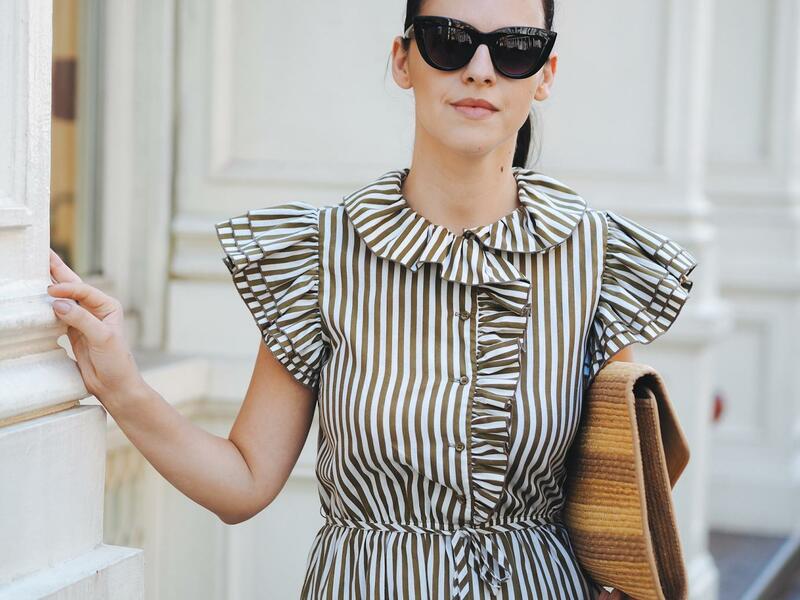 Can you think right now of something more girly than this ruffled striped vintage dress? I also love the color and paired with camel pumps seems the right choice, or so I thought this week when I wore it in New York. Just another favorite in my closet! Thank you Ebbie, it’s one of my favorite right now! Ntali, you are making me blush! Thank you very much for your kind words! Thank you very much for these kind words !!!! Thank you very much Alfredo! Oh gosh, I love this dress! 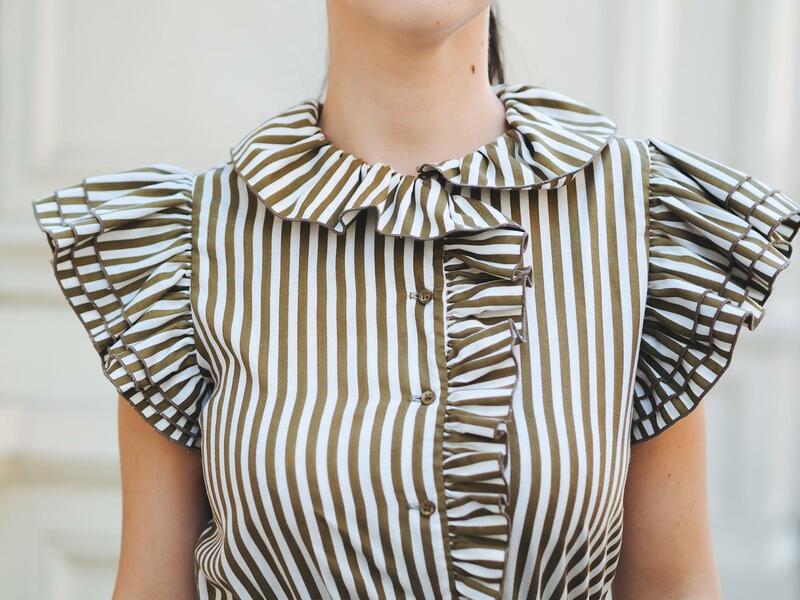 Ruffles are something I’ve always shied away from but am slowly embracing in my own wardrobe. Will definitely bookmark this post as inspiration.